I’m a veteran journalist who has been published in dozens of Catholic and secular publications. In 2014, I was accepted to The Church Up Close seminar for foreign journalists at the Pontifical University of the Holy Cross in Rome. In 2015 I was awarded the Egan Journalism Fellowship, in recognition of my demonstrated excellence in reporting for Catholic media. I’m the author of several books about Marian devotion and Catholic spirituality. family life. My book, Our Lady, Undoer of Knots: A Living Novena received a 2016 Association of Catholic Publishers Award for Excellence in Publishing. My most recent work is Forgiving Mother: A Marian Novena of Healing and Peace (Servant Books, 2017). I’m a frequent guest on many Catholic radio programs nationwide and have appeared on EWTN’s Women of Grace, Bookmark, and Catholic Moms Cafe. I’m a nationally-known speaker and have presented to audiences in a number of venues and states throughout the country. To find out more about my speaking and how to book an engagement, click here. I’m a cradle Catholic and am solidly committed to the teaching of the Magisterium and am especially attached to the Blessed Virgin Mary. One of my spiritual heroes is Servant of God, Father Joseph Kentenich (1885-1968), founder of the Apostolic Movement of Schoenstatt. His unshakable confidence in Divine Providence and trust in the intercession of the Blessed Virgin Mary led him to live an exemplary life of holiness, in spite of internment in the Dachau concentration camp (1942-1945) and a 14-year separation from his work (1951-1965). He has inspired many others to holiness, including several whose causes for canonization have been opened in Rome. Another of my heroes is St. Margaret of Scotland (1050-1093), my patron saint. St. Margaret was a woman of strong character, determined to maintain the freedom to be herself, to love God, and to serve others. Having fled the cruelty of William the Conqueror, St. Margaret and her family were shipwrecked off the coast of Scotland and were befriended by King Malcolm. The King was captivated by the beautiful and gracious young woman, and in 1070, they married. Queen Margaret reformed not only her rough and uncultured husband, but also the entire country. She promoted the arts, education, and religious reform and with King Malcolm, founded seven churches. The King so valued St. Margaret’s wisdom, that he often consulted her on state matters. The couple had six sons and two daughters, all of whom St. Margaret educated herself. Privately, Queen Margaret lived an austere life of prayer, spiritual reading, and fasting. She went to great lengths to care for the poor and never ate herself without first feeding the orphans and beggars at her table. 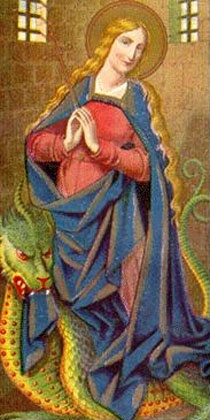 St. Margaret of Scotland died four days after learning that her husband and eldest son had been killed in battle. 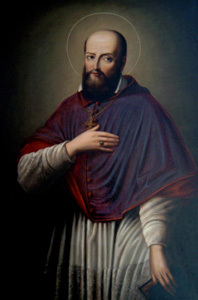 Finally, I look to St. Francis de Sales (1567-1622), the patron saint of writers, for guidance. In spite of his best efforts to coerce his son into the legal profession, St. Francis de Sales’ father finally conceded his entry into the priesthood. From the start, he was quite successful in converting others to the Catholic faith by distributing pamphlets that he himself had written. He became a bishop at age 35, preached, heard confessions, catechized, and quickly became known for his ability to win souls with his gentle character. His two best-known books are Introduction to the Devout Life and A Treatise on the Love of God, but he also wrote many pamphlets and a vast correspondence. His writings are addressed to lay persons, and his primary focus is to help them understand that they, too, are called to be saints. He shared a chaste and heartfelt friendship with St. Jane de Chantal, with whom he founded the Sisters of the Visitation.